but confirms it has not worked with Macquarie University in over 12 months. There is growing competition in the university category that has undergone significant change in regulation over the last three years. Universities have gone from being institutions attended only by the elite, to being free, to then being funded by a government loan scheme. In 2014, they got the nod from the federal government to set their own fees, which was then scrapped when Malcolm Turnbull was elected, and now is on the table again. That's a lot of change in business models for organisations that have traditionally traded on their heritage and more pressure on institutions to be on the cutting edge with a constrained commercial model. Many are turning to marketing to push their way forward, attract new students and modernise their reputations. As a result we have seen universities take a bold approach to their advertising. 303 Mullen Lowe led the 'Pioneering Minds' campaign in 2015, which used emotive images to highlight global issues and how Macquarie University was addressing them in its courses. 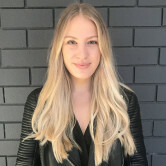 Macquarie University chief marketing officer Elizabeth Horbach, who joined the business in 2017, replacing CMO John Chatterton, says the agency shake-up comes as the university strengthens its "engagement, connection and contribution to local, national and global communities". “Macquarie has a strong record of innovation, collaboration and challenging the status quo," Horbach says. "We helped develop the technology that underpins modern Wi-Fi systems, we lead the world in environmental science and we pioneered an integrated health model, to name a few. TBWA AUNZ CEO Paul Bradbury adds: “Elizabeth and her team have a very clear vision for differentiation for Macquarie University in a very competitive market. We look forward to partnering with them to tell their story." Just last month the University of New England (UNE) tapped Queensland creative agency Engine for a new more emotive brand campaign. 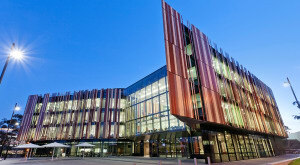 Update: This story was first posted with the headline: 'TBWA Sydney wins Macquarie University from 303 Mullen Lowe'. It has now been updated. Macquarie University has appointed TBWA Sydney as its creative agency following a four-way pitch. 303 Mullen Lowe was previously the agency of record for the Sydney university, landing the account in 2015, but confirms it has not worked with Macquarie University in over 12 months.